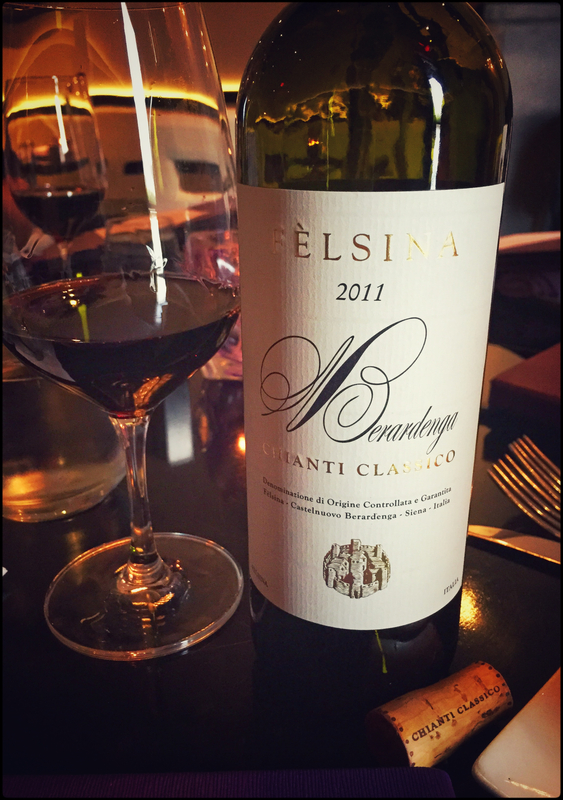 A wonderfully well balanced, elegant and easy drinking Chianti Classico. Estate: The Fèlsina estate was once the farm of the Grand Dukes of Tuscany; by early 900 the noble Florentine family Busatti had established a cellar and began bottling wine. Domenico Poggiali Fèlsina bought the estate in 1966, and brought a young, passionate team on board to invigorate the quality of production. Since 1990 the estate has been headed by Domenico and Giuseppe Poggiali and now Giovanni Poggiali, the oldest of Giuseppe’s three sons, has joined the family business. Fattoria di Fèlsina is renowned as one of the greatest vineyards in the Chianti Classico region of Tuscany, producing “one of the finest ranges of age worthy and complex Chianti bottlings in all of Italy”. Fèlsina only cultivates Sangiovese, and although quite prevalent in many Chianti today, they do not include international grapes such as Cabernet Sauvignon in their wines. Winemaking: The vineyards are farmed using organic methods and boast mature vines, many more than half a century old. The ‘entry level’ Chianti Classico is sourced from vines with an average age of 30, whilst Riserva Chianti comes from vines aged 50+ years. Grapes for the Berardenga Chianti Classico were sourced from vineyards located in the commune of Castelnuovo Berardenga, just northeast of Siena. Aged in small and medium-sized casks for 12 months, with 20,000 cases produced. Tasting Notes: Dark ruby in colour with aromas of dense cherry, earth and floral notes. Elegant and pure with black cherry backed by rose petal and warm summer earth notes, whilst white peppercorn and hints of leather comprise the elongated, dry finish. Estate Bottled by Fèlsina S.p.a.